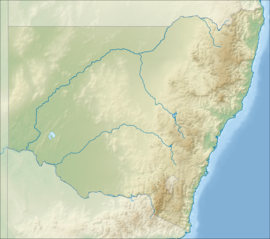 Bathurst is a city in the state of New South Wales, Australia. It is about 200km west of Sydney. Bathurst has a campus of Charles Sturt University and a cathedral. ↑ Australian Bureau of Statistics (27 June 2017). "Bathurst". 2016 Census QuickStats. Retrieved 30 November 2017. ↑ "Charles Sturt University in Bathurst". csu.edu.au. Retrieved 23 March 2010. This page was last changed on 26 January 2018, at 13:02.